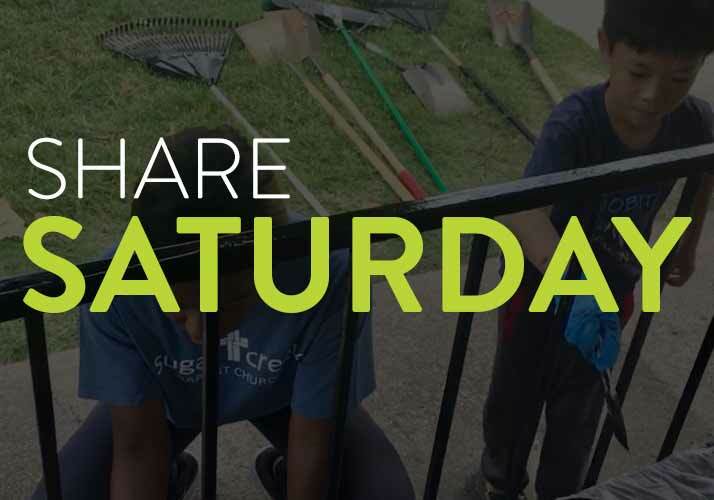 You and your family are invited to our next Share Saturday of 2019! Join us in loving on our neighbors through acts of service and community celebration! This is a time for our church to go out into the community, and share the love of Christ with those beyond our walls. All ages are welcome! More information will be coming soon, but save the date now and come ready to serve your neighbors.